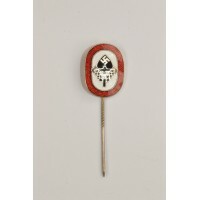 DRL Badge Silver maker marked Werestein Jena, nice condition. 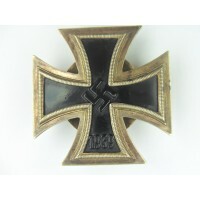 DRL Badge Silver maker marked Werestein Jena, nice condition. A Second War Black Wound Badge unmarked - magnetic, nice condition. 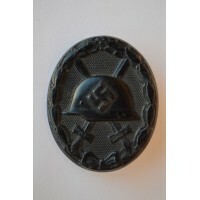 A Second War Black Wound Badge unmarked - magnetic, nice condition. 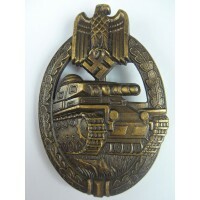 TANK BADGE BY WIEDMANN - SILVER GRADE . 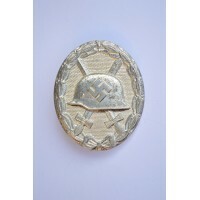 TANK BADGE BY WIEDMANN - SILVER GRADE . 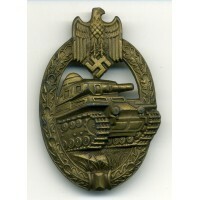 TANK BADGE BRONZE OVAL CRIMP by Deumer - super mint. 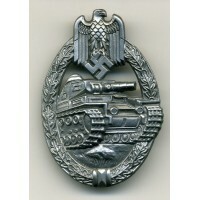 TANK BADGE BRONZE OVAL CRIMP by Deumer - super mint. 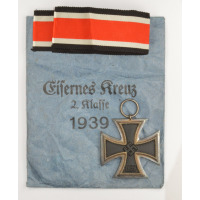 War Merit Cross 2nd Class with Swords - Bronze gilt, 49 mm, extremely fine. 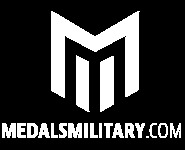 War Merit Cross 2nd Class with Swords - Bronze gilt, 49 mm, extremely fine. Stamped bronze, extremely fine. Stamped bronze, extremely fine.